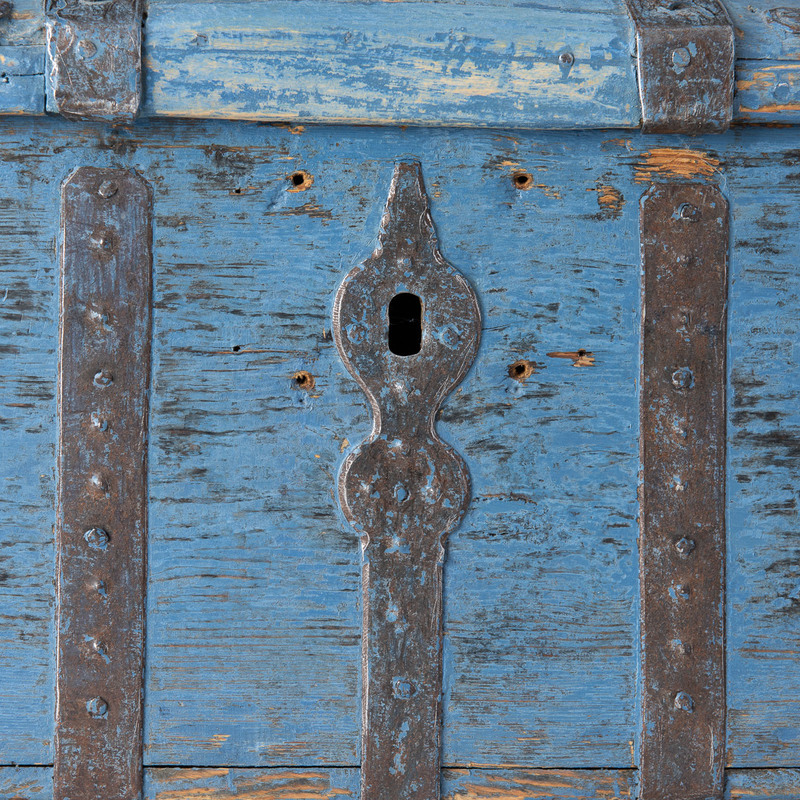 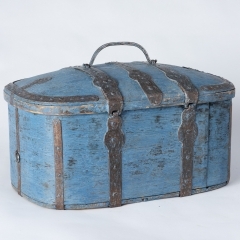 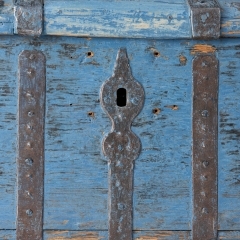 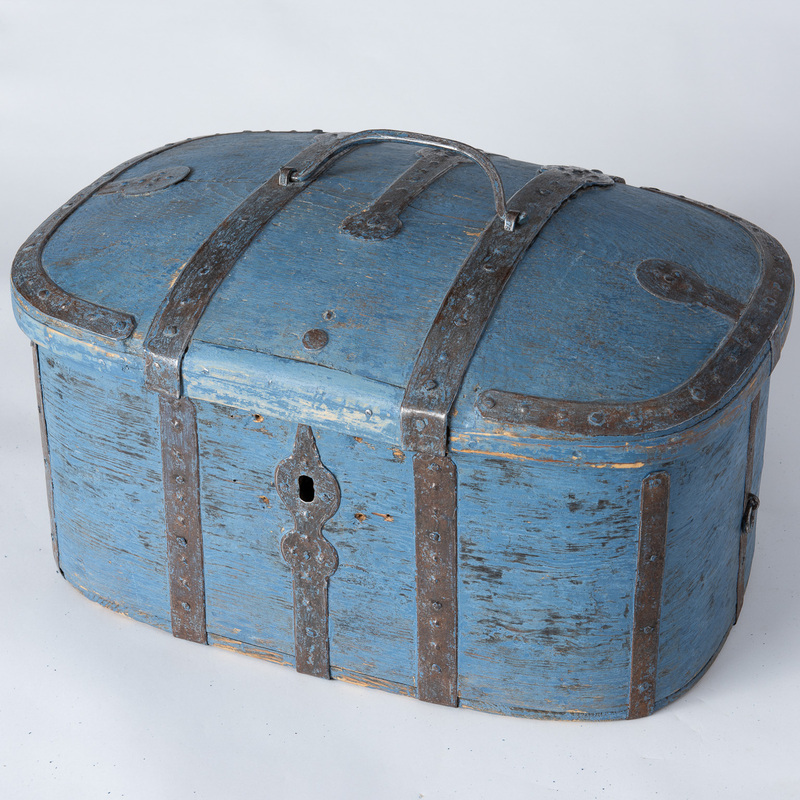 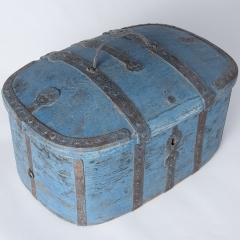 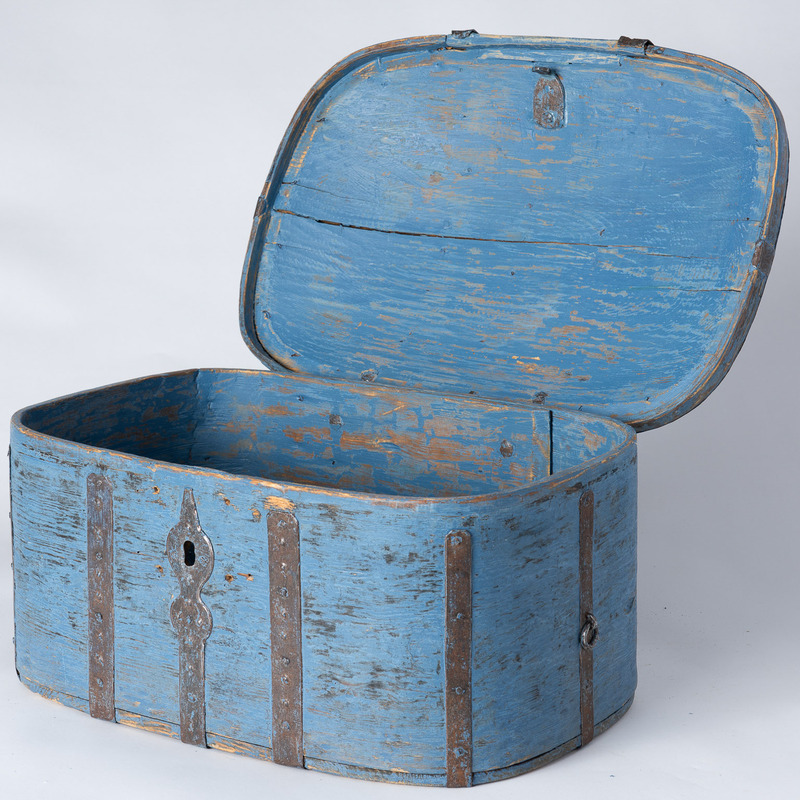 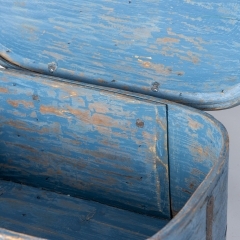 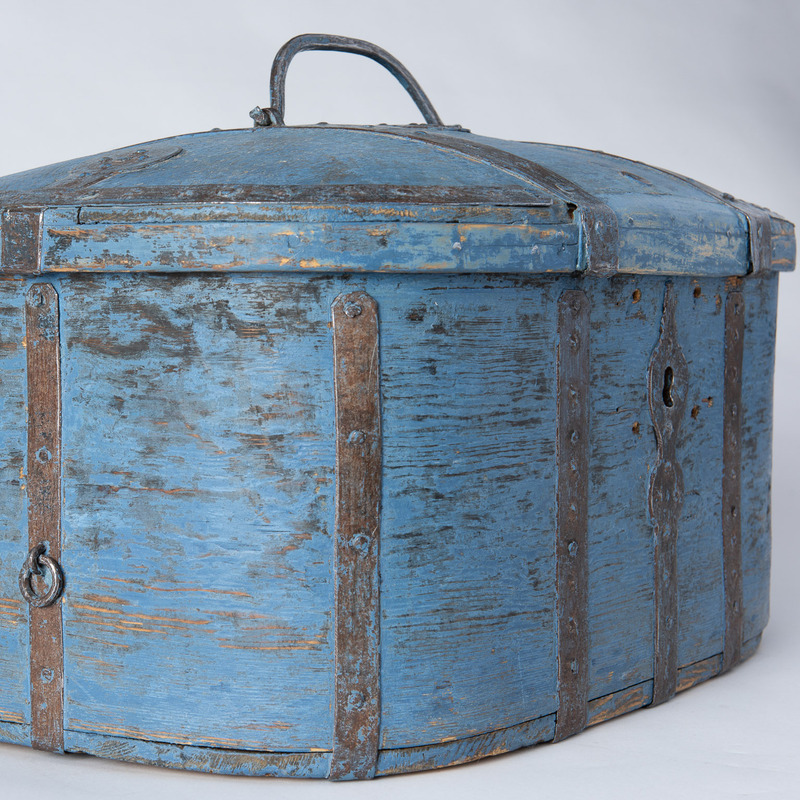 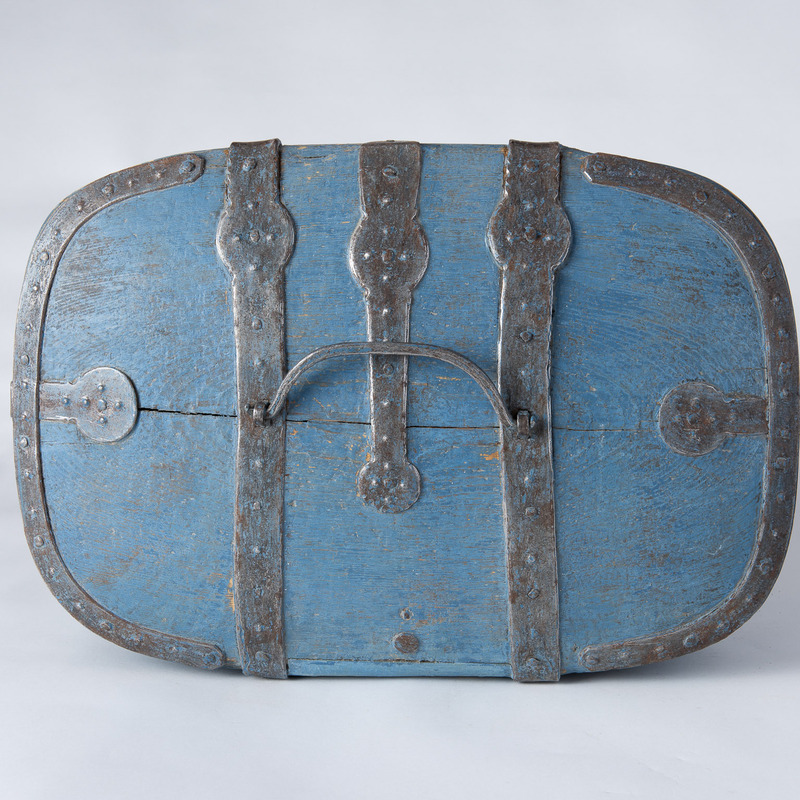 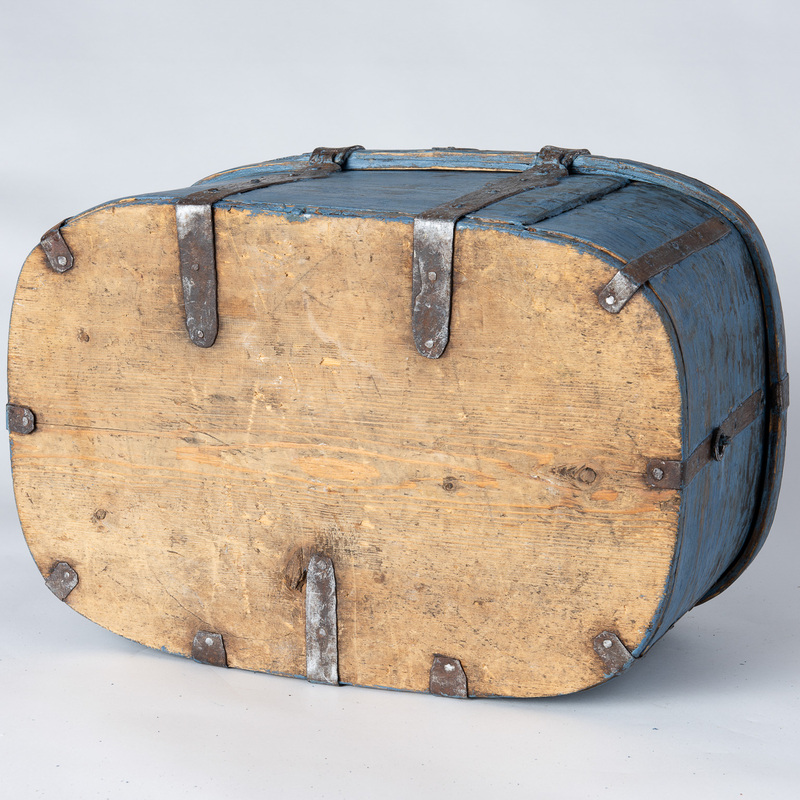 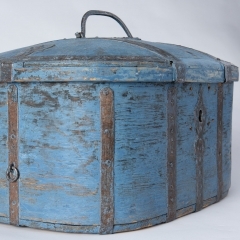 This travel box is in a wonderful vibrant shade of original blue paint. 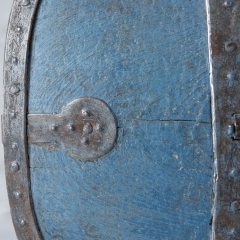 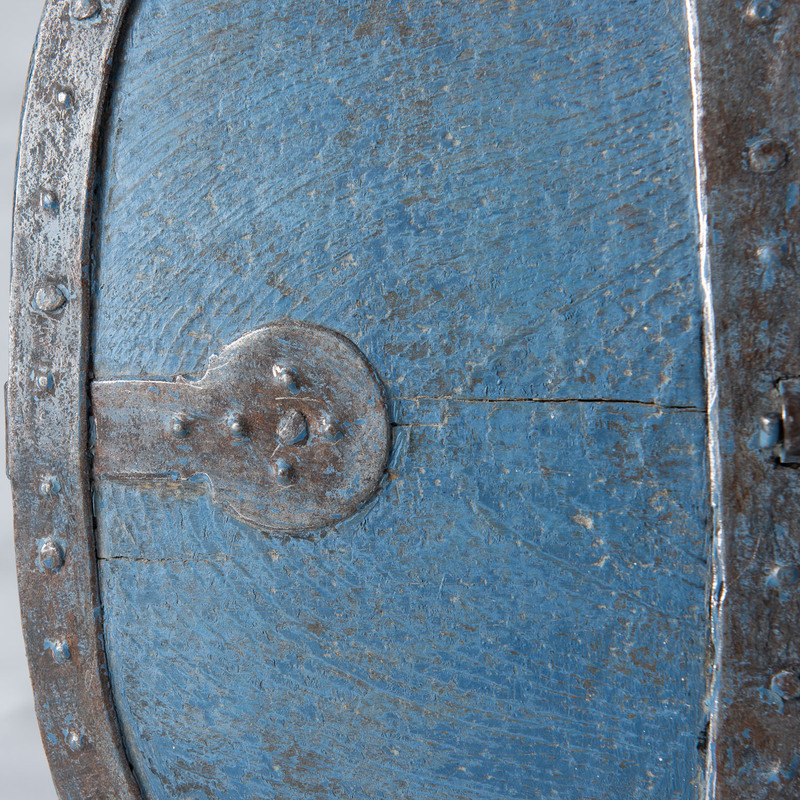 It is decorated with metal straps to make it strong for carrying heavy items when traveling by coach in the 18th century. 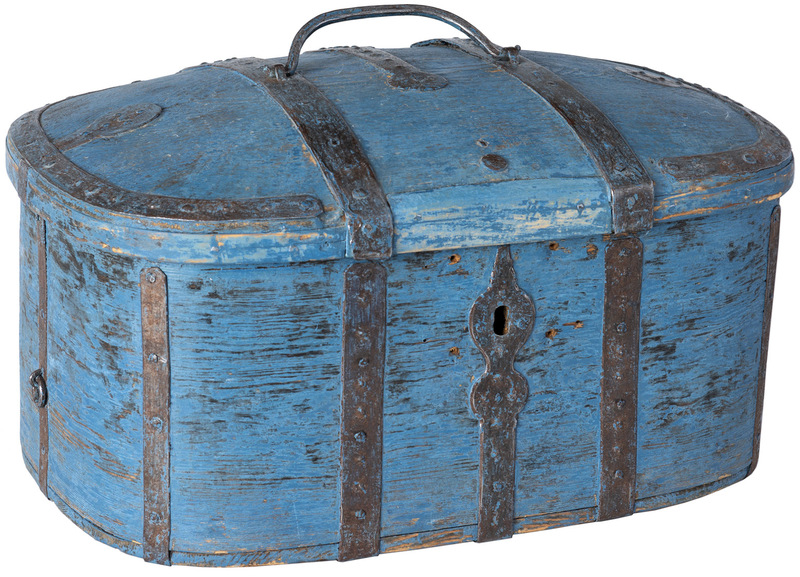 The large size is unusual and impressive.